As the Traditional Latin Mass takes on a reinvigorated life in today’s Church, there is a need to communicate news and relevant information. 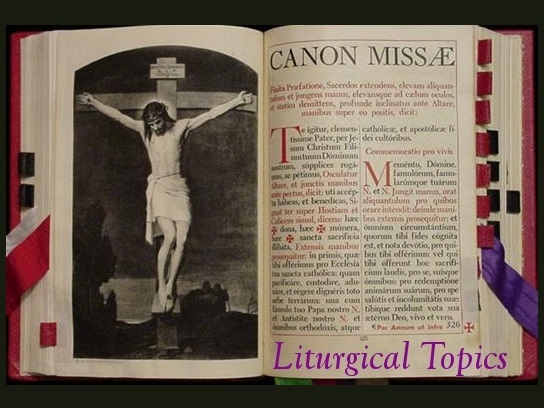 The weekly Tridentine Community News column covers a wide range of topics, including liturgical discussions intended to help the faithful understand the Mass better; news of new Latin Mass sites and related developments in the Diocese of London and our neighboring Archdiocese of Detroit and Diocese of Lansing, Michigan; and “Tridentine Travelogues” showcasing churches which offer Extraordinary Form Masses that you may wish to visit on your travels. The Tridentine Community News is written for the St. Benedict Tridentine Catholic Community at St. Alphonsus and Holy Name of Mary Churches, and for the Oakland County Latin Mass Association at the Chapel of the Academy of the Sacred Heart in Bloomfield Hills, Michigan. 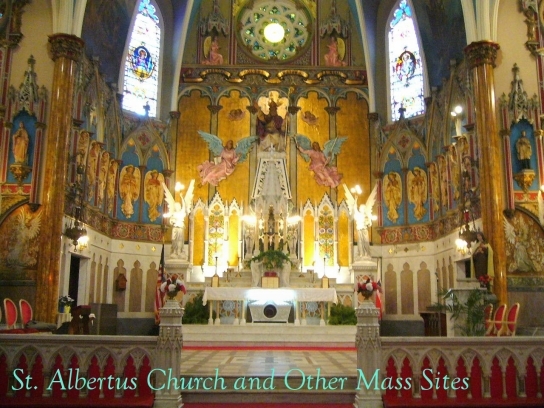 It is also distributed at the Extraordinary Form Masses at Old St. Mary's, St. Joseph, St. Albertus, and St. Hyacinth Churches in Detroit. It is also posted on Musings of a Pertinacious Papist, the blog of Dr. Phil Blosser, a Professor of Philosophy at Detroit's Sacred Heart Major Seminary. 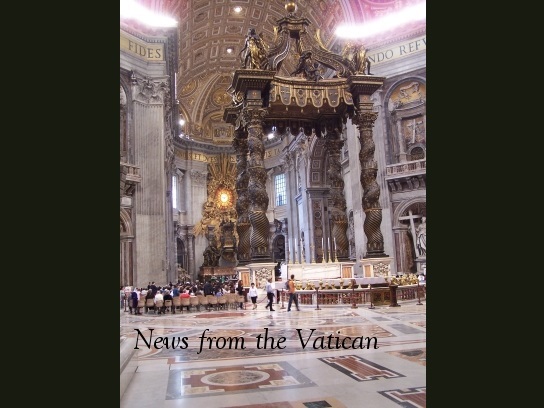 Pick up a copy of the Tridentine Community News at the back of the church after Mass each week. A complete archive of all of the Tridentine Community News columns since their commencement is posted below. May 21, 2017 The Litany of Loreto; Is Ascension Thursday a Holy Day of Obligation in the U.S.? October 2, 2016 New Tridentine Mass in Sarnia; "Demons can be very legalistic"
May 10, 2015 Are Traditional Catholics Better Informed Now Than Twenty Years Ago? March 9, 2014 Archbishop Vigneron Confers Confirmation in the EF; Why Evangelize? May 13, 2012 A History of the Feast of St. Joseph the Worker; Why Pray Indulgenced Prayers? April 29, 2012 Papal Support for "Praying the Rosary During Mass"
February 5, 2012 Inspirational Beauty: The Stained Glass Photos of Fr. Lawrence Lew, O.P. June 5, 2011 Ozorak Chant Sheet Book Released; Meatless Fridays Reinstated in the U.K.
July 4, 2010 Fr. 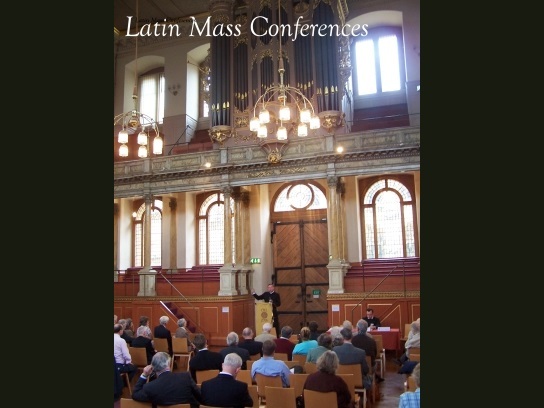 Kenneth Myers to Speak at LLA; Which Translations Can Gain the Indulgence? June 8, 2008 Cardinal Castrillón Hoyos Ordains Four in the U.S.